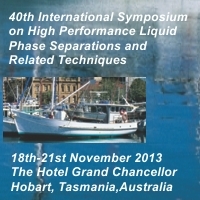 This delegate is presenting an abstract at this event. Professor Jin-Ming Lin was graduated from Fuzhou University in 1984 and received a PhD at Tokyo Metropolitan University in 1997. He had studied and worked in Showa University and Tokyo Metropolitan University during 1992-2002. He was selected as “100 Talented Researcher Program” for Chinese Academy of Sciences at 2001 and worked in Research Center for Eco-Environmental Sciences, Chinese Academy of Science during 2002-2004. 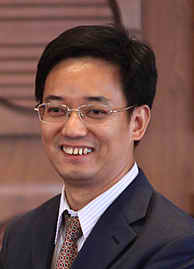 He is currently a professor of Tsinghua University since 2004. He is a Deputy General-in-Secretary of Chinese Chemical Society, a member of council of Chinese Society for Chromatography Science, and service as Editorial Boards for six international journals. He received more 10 awards for his contributions in chemiluminescence and separation science. He is the author and co-author of 288 original research papers published in international journals, 28 reviews, 4 books and 41 patents. His current research is focused on microfluidic device, ultra weak chemiluminescence, and sample pretreatment for LC-MS and GC-MS.